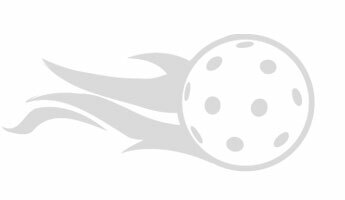 Tornado ASBL (non-profit making association) has been founded on 27 April 2006 upon the initiative of Jean-Luc Gazeau, who has been training and promoting floorball in his local school. Thanks to cooperation with the 'parascolaire' of the commune of Uccle since 2005, more and more young (and less young) players have been attracted to floorball. Participation in the Belgian league and championship became a reality. In the early days, the club started with a second-hand boarding, some sticks, goalkeeper outfits and balls. Thanks to the players, the parent supporters and sponsors, as well as the voluntary trainers and coaches, the club has seen a fast growth. But we do not stop here : with regular investments into new material, such as new and IFF-conform boarding in 2008, we anticipate a further and promising development of the club. The Tornado is a club which is evolving constantly. In 2014, the club registered a second team in the 3rd division adult championship. Currently, the team plays in 2nd division, just after 2 years! Another will of the club was to build a women's team: the team was created in 2015 and enrolled in its first championship in 2016! Come and join us! The Belgian Championship is divided into 5 categories. • Adult: adults and selected juniors from the U19 team to prepare for the adult league.